Help students build fluency and gain confidence as English speakers with this bilingual twist to the classic game. Includes 120 reproducible boards for 15 different themes including: school, home, calendar, animals, transportation, weather and more. A snap to learn and a blast to play! For use with Grades K-3. Jaime A. Lucero is co-author of the bestseller 25 Bilingual Mini-Books. He lives in New York City. 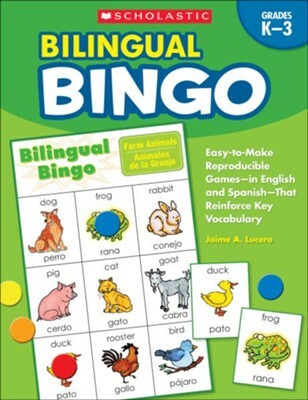 I'm the author/artist and I want to review Bilingual Bingo.